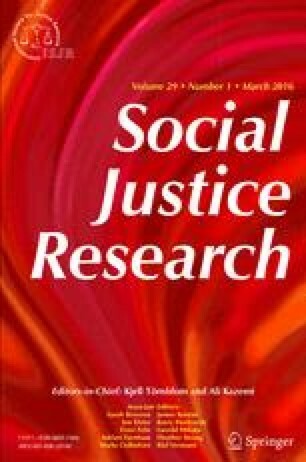 Most current theories of justice are focused on how social identity, instrumental concerns, or both shape how people decide whether something is fair or unfair. A neglected consideration is that people may also be concerned with justice because they strive to be authentic moral beings by acting on the basis of values closely tied to their personal identity. We posited that self-expressive moral positions or stands (“moral mandates”) are important determinants of how people reason about fairness. Supporting this notion, we found that (a) people see some trial outcomes in morally mandated terms, e.g., that the guilty must be convicted and punished, and the innocent must not; (b) convicting a defendant believed to be innocent or acquitting a defendant believed to be guilty were seen as unfair, regardless of whether the verdict was achieved by a fair or unfair investigation and trial (Study 1); and (c) a guilty defendant's death was seen as equally fair, and an innocent defendant's death was equally unfair, if it was achieved by a trial that led to the death penalty or by vigilantism (Study 2). Procedural propriety only mattered when defendant guilt was ambiguous.